Montessori Music Academy in Vernon Hills, Illinois uses our Swedish microfiber products not only for cleaning the school’s interior as well as pianos and Orff instruments, but also as a learning tool for “Practical Life” lessons which is part of the Montessori teaching philosophy. Owner and Music Director Margarita Shvets say s, “The Swedish Microfiber cloths are logical for our students to use in lessons about care for their toys and instruments, and they are safe for any child to clean with since no chemicals are needed.” She knows that surfaces of the many toys and tools used by students will be free of harmful chemicals, odors and residues thanks to Swedish Microfiber cleaning. 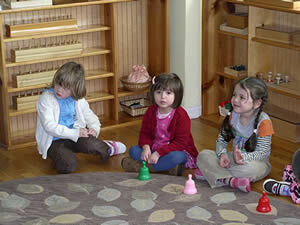 Montessori Music Academy offers a unique educational program: a blending of diverse academic and arts-focused early childhood learning, music performance and theory, and a multicultural student group. At a 2007 concert, students sang songs in the following languages: French, Latin, Russian, Yiddish, Hindu, Azerbaijanian, and German.